McLean, VA – The Food Processing Suppliers Association (FPSA) today announced the slate of speakers for the bakery breakout sessions for the 2017 FPSA Annual Conference taking place March 15-17 at the Park Hyatt Aviara in Carlsbad, California. The bakery track theme at the Annual Conference will be Processing and Packaging Challenges in Alternative Bakery Products and feature presentations from Lin Carson of BAKERpedia, Alex Belknap of Hampton Creek and Greg Moranski of Palermo’s Pizza. Topics will include gluten free products and their unique challenges during processing; producing baked goods without animal based ingredients; and effective customer/vendor collaboration on project planning and execution. Registration for the 2017 FPSA Annual Conference is now open on-line at www.fpsa.org. 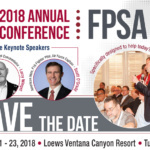 The early-bird registration rate of $850 for FPSA members has been extended until February 15th. For more information on the FPSA Annual Conference, contact Dolores Alonso at (703) 663-1226 or dalonso@fpsa.org. The Food Processing Suppliers Association (FPSA) is a global trade association serving suppliers in the food and beverage industries. The Association's programs and services support member’s success by providing assistance in marketing their products and services, overall improvement in key business practices and many opportunities to network among industry colleagues. Programs and services to achieve these objectives include PROCESS EXPO (industry leading trade show), electronic media marketing, education, market intelligence, research, and advocation of critical industry issues such as food safety, sanitary design of equipment, and global trade.  FPSA members are organized in vertical industry councils which focus on specific needs and concerns that are unique to each industry sector. FPSA councils currently represent the Bakery, Beverage, Dairy, Prepared Foods and Meat sectors.